You read that right! 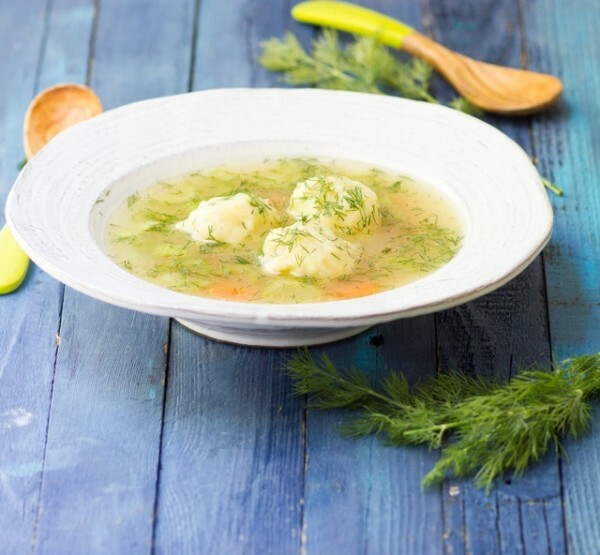 Gluten Free Matzah Ball Soup that’s so tasty, Passover may never be the same. And I’m not talking about subbing out matzah meal for gluten free matzah meal either. These balls are the real deal! My friends Jennifer of Predominately Paleo and Simone of Zenbelly just could not find gluten free versions of their favorite Jewish foods (I’m talking challah, rye bread, rugelach), so they set out to make an e-book to help out others with sensitivities to gluten get their babka fix. 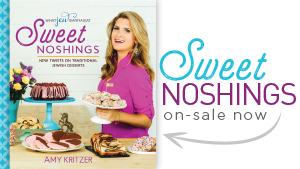 Well, it was so successful, that now it’s a real hold in your hands cookbook! 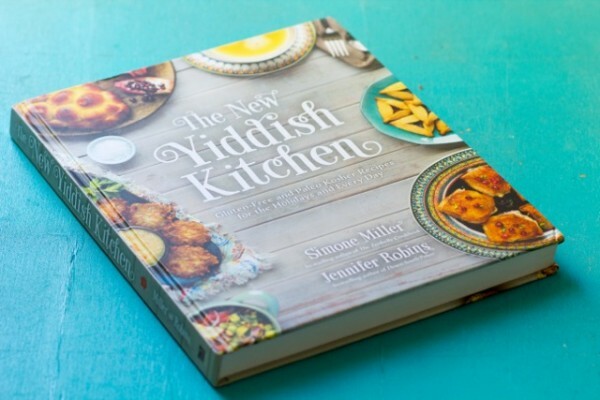 The New Yiddish Kitchen has over 100 Paleo versions of your favorite Jewish food. 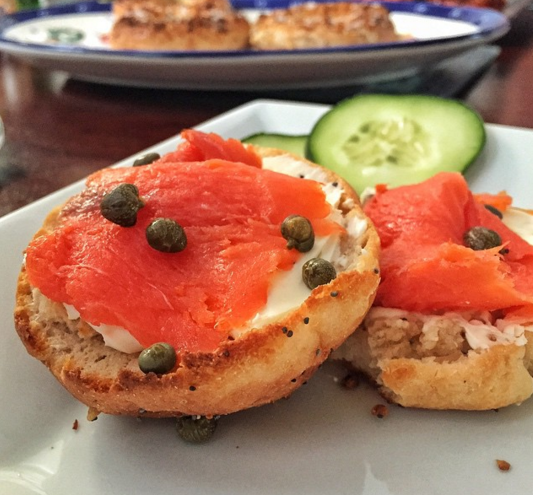 Bialys and knishes and even black and white cookies! I got to meet Jennifer and Simone in real life (beyond just Internet friends) when they were in Austin for a conference. They were super sweet and invited me into their (Air B&B) home, let me be in their cookbook trailer and even fed me gluten free bagels! Obviously I was skeptical, but their bagels were so delicious! I’d buy their book just for this recipe. For real. Anyhoo, back to the soup. I think the secret to really good matzah ball soup (or any soup for that matter) is really good broth. 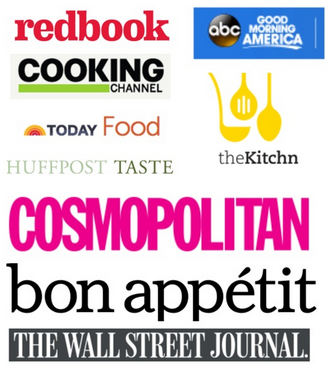 I always make mine from scratch with a quality kosher/organic chicken and lots of veggies. 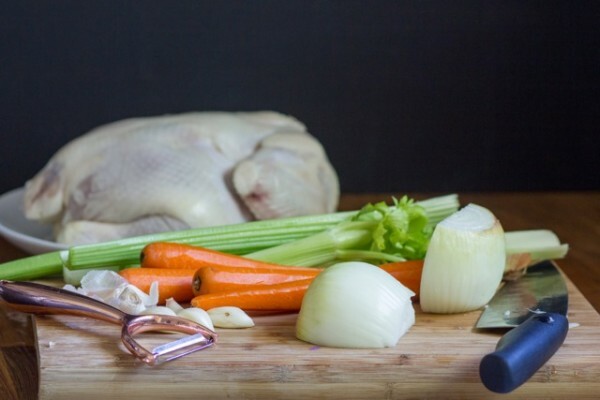 (Here is my chicken broth recipe). Sometimes I throw in some leeks or parsnips too. For kicks! You can totally use vegetable broth and make this vegetarian. Hello, lover. Using Yukon golds in place of matzah meal makes them gluten free but they have a nice chew that resembles actual matzah balls! Plus, I’m a fan of all that dill. Ta da! 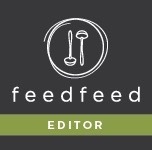 Perfect to serve your gluten free guests, or heck, even gluten eating guests. Along side some Creamsicle Macaroons. Reprinted with permission from The New Yiddish Kitchen! You read that right! 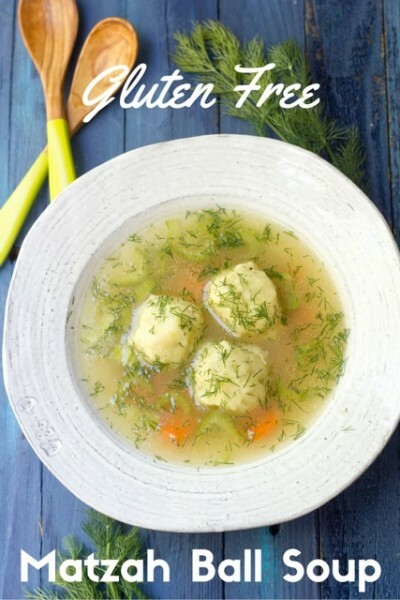 Gluten Free Matzah Ball Soup that's so tasty, Passover may never be the same. 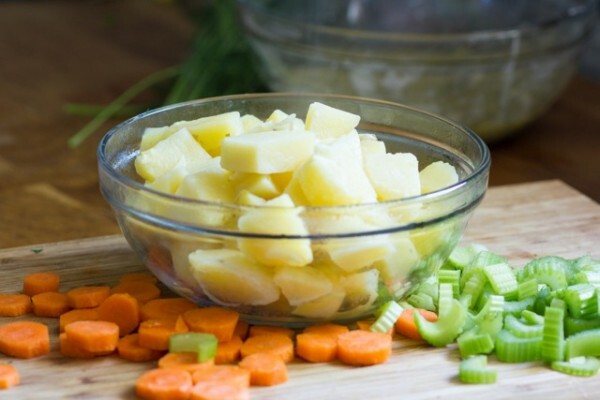 Combine the water or broth (I used broth) and sliced potatoes in a large pot and bring to a boil. Cook for 20 minutes, or until tender. Turn off the heat, remove the potatoes and allow them to cool for 10 minutes or so. 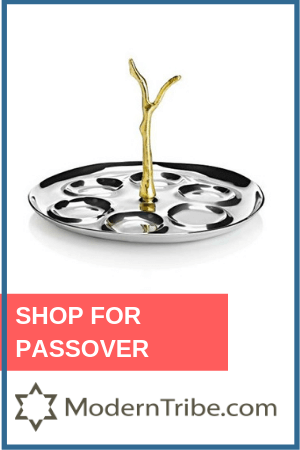 Reserve the water in the pot- you’ll use it to cook the matzo balls. 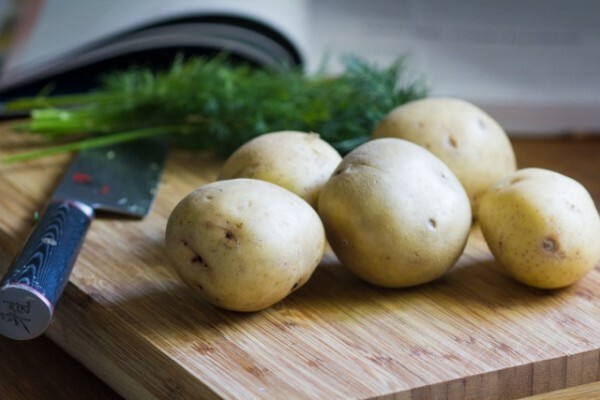 While the potatoes are cooling, whisk together the eggs, potato starch, olive oil, dill, salt, black pepper and onion pepper. 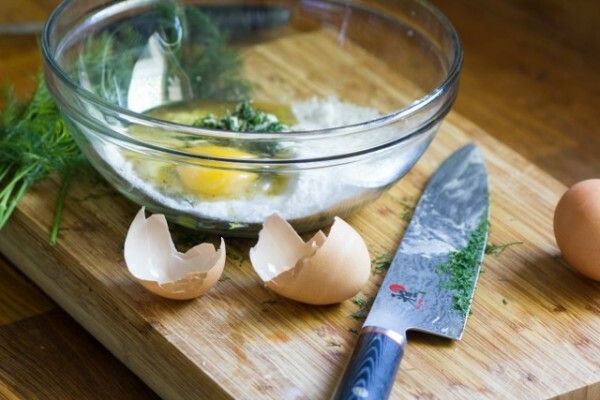 Once the potatoes have cooled off a bit, mash them into the egg mixture, making sure everything is well incorporated. Bring the pot of water back up to a simmer. To make the matzo balls, you can either roll them into balls with your hands, about a heaping tablespoon each, or you can scoop the dough with a small cookie scoop with a lever. Drop the matzo balls into the simmering water and cook for 15 minutes. 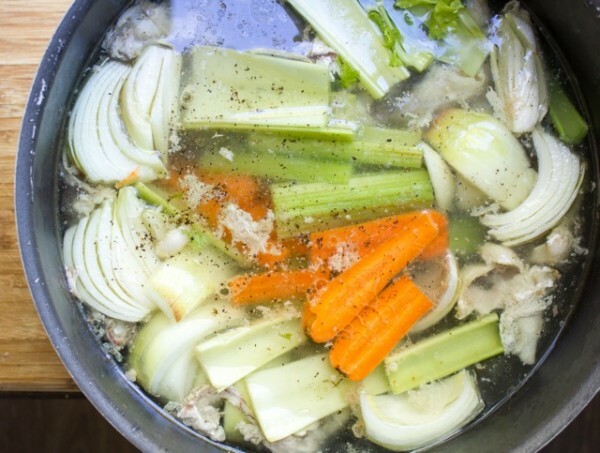 Serve in piping hot chicken soup. I used chicken broth with carrots, celery and more dill! Can you cook the matzoh balls in advance and reheat in the soup? Thanks for this. 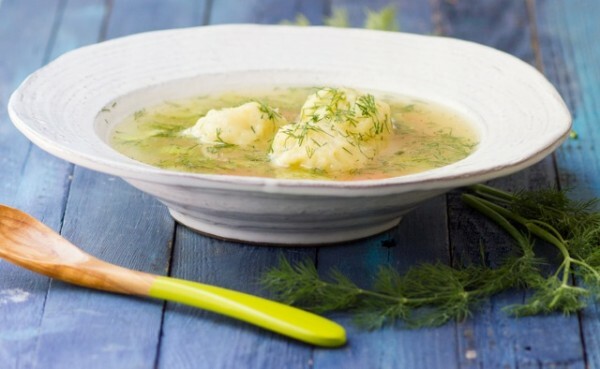 My celiac friend can enjoy matzoh ball soup again! Enjoy! I had some leftovers, but they got a little mushy. 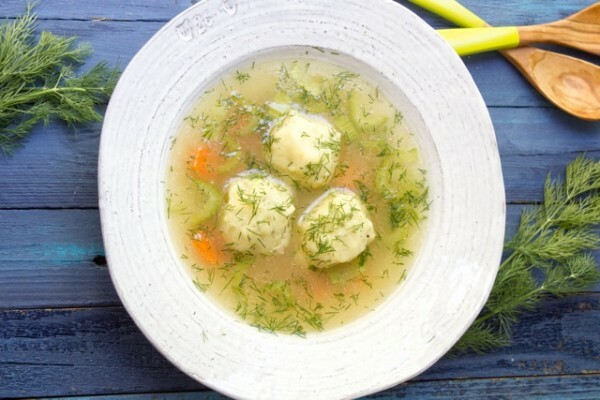 Matzo Ball soup Recipe …. 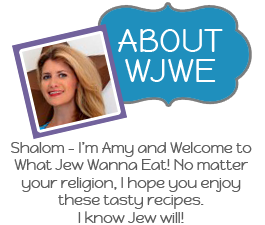 without matzo meal????? It’s a great gluten free option!